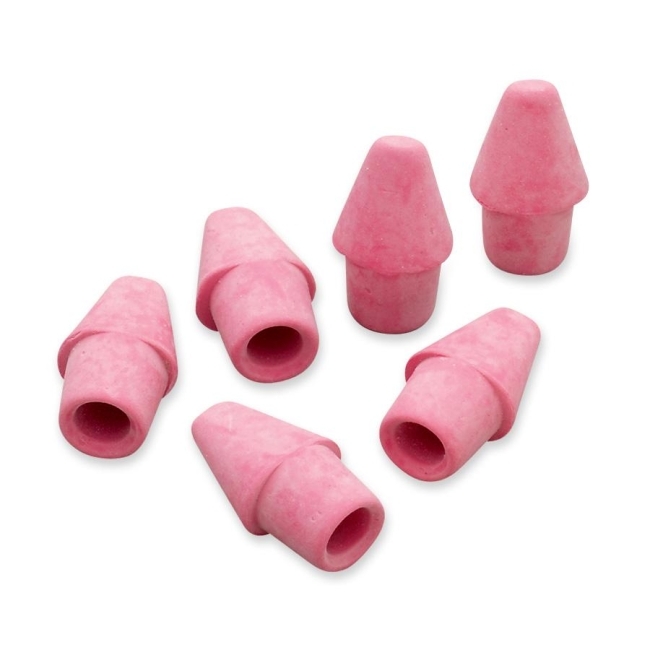 Arrowhead Pencil Cap Erasers fit over the end of any standard diameter pencil for general-purpose pencil lead erasing. Quickly erases pencil marks on all paper surfaces. Chisel-shaped rubber eraser is perfect for when you run out of eraser before you run out of pencil.